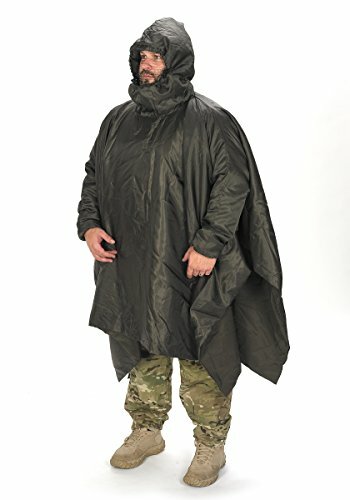 This Snugpak Poncho liner is not your fathers or grandfathers poncho liner. Unlike the older square shaped style poncho liner, many have come to know the Snugpak poncho liner has a dedicated hood with draw cord as well as dedicated sleeves. No more cold chills when lifting arms while wearing a poncho. The other great news is the Snugpak poncho liner is compatible with pretty much any poncho on the market, though it does work best with Snugpak enhanced poncho. Why you ask? Well simply because the Snugpak enhanced poncho too has dedicated sleeves and because of this fact, the poncho liner acts like a jacket liner to insulate an improve the performance when needed, or desired. If you have any questions about this product by SnugPak, contact us by completing and submitting the form below. If you are looking for a specif part number, please include it with your message.